Believe it or not, stress isn't all bad; in fact, it's an important part of the natural world. Stress helps us survive as a species - because of that we want the ability to be stressed. That said, being able to manage stress with greater success is the difference between surviving and THRIVING. 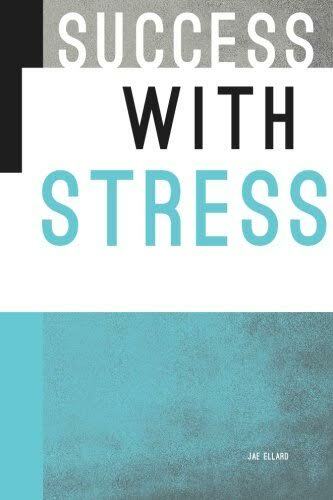 Success with Stress explores five simple ideas to spark your personal power to change the level, duration, and frequency of the stress in your life. With workplace stress being linked to quality of life, health, and workplace morale, this is a must-read for any team looking to improve morale and individuals looking to improve their quality of life. ​Jae Ellard is an author, speaker, and expert on developing the skill of awareness in the workplace. After years in senior communication roles crafting content for executives, Jae collapsed from stress-related adrenal fatigue. This life-altering experience propelled her to research human behavior, neuroscience, mindfulness, and organizational relationship systems. In 2008, Jae founded Simple Intentions and developed the Mindful Life™ Program to generate intentional conversations to disrupt patterns and create awareness, accountability and action at team and individual levels. Jae has taught the skill of awareness in more than 50 countries to thousands of employees at multinational corporations such as Microsoft, Amazon and Expedia. When I first saw this book I jumped right on the list to read and review it. Who does not want to learn how to have success with stress right? This was a very quick book to read. In fact I read it in less than two hours. I think I will let what I read sink in a little and probably read it again a second time in a few days. For me it started out a little slow as I was not sure I was going to like it as it had some definitions of stress and what I would call sciency things. But I kept reading and I ended up linking it and it gave me some food for thought. To start with it talked about some symptoms of chronic stress - a few of which I do have and I know for a fact at least one if not more are caused by my stress - like my acid reflux. I know this because stress makes my flare up even more. Then the author goes into had to have success with your stress and dealing with it. In going through each of these strategies the author gives you two questions to answer at the end of each chapter. The five strategies are 1. get clear, 2. give up control 3. say what you mean, 4. honor yourself and others and 5. be in the moment. I also learned from reading this book that I tend to hedge which means I do no say what I mean instead I tend to say I don't know, maybe or we'll see when people ask me questions or ask me to do things. This is something I will have to work on. Like I said I want to read this again only take a little more time to think about the questions that the author asks. I am glad I gave this book a chance. My doctor said my body was in adrenal fatigue and that my career was killing me. His advice? Get a new job. I knew that wasn’t the “right” conversation—yet I didn’t know what was. I chose to stay on, but went deeper into my own mindfulness practice to try to understand what had happened. Burnout is not so much about the specifics of your job. It’s mostly about the choices you make (and don’t make) about how you want to live. Being aware of these choices, and approaching the inherent stressors in any job with mindfulness and clear purpose can transform our relationship with stress—and put work in its place. To start, here are some actions you can take in this moment to start to redefine your relationship with work.